These illustrations remind me of the ones a beloved fairy tale of mine used to have. 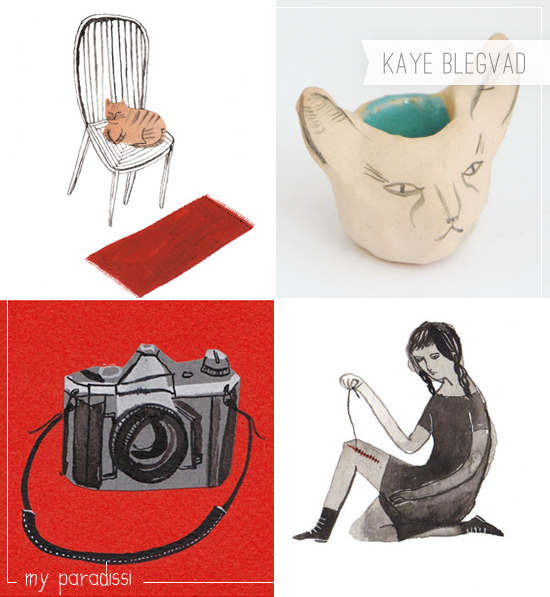 Apar from the nostalgic essence of my childhood memories, however, the work of Kaye Blegvad has a strict simplicity and a sparse use of color that speak straight into my heart. I especially dig the bird garland, there's also a feather and a cat one for you to pick. 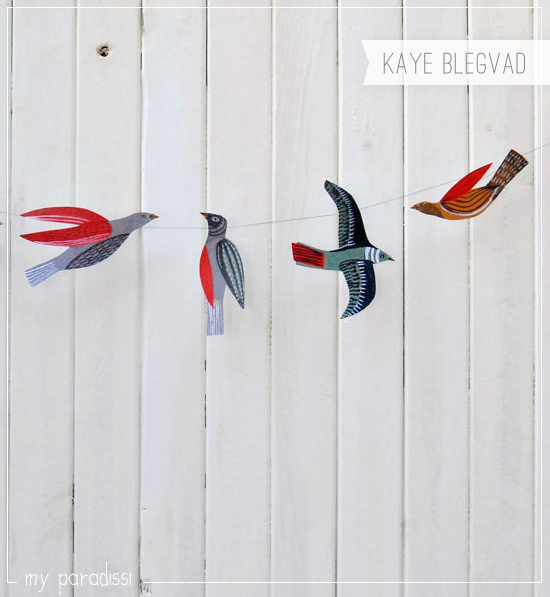 1 comment on "Kaye Blegvad"
p.s. Today is the last day to enter into our giveaway for an Anthropologie gift card! Have you entered?